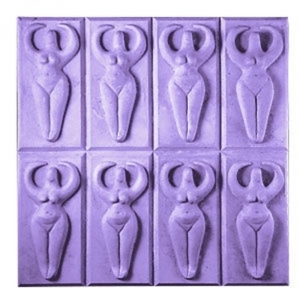 Our Goddess Tray Milky Way Soap Mold features the outline with a woman with arms upraised. This mold is based on the Nile River Goddess figurines popular in ancient Egypt and makes eight bars. Soap Bar Dimensions: 3.75" x 1.75" x 1.3"
Notify me when Goddess Tray Soap Mold is in stock.